The security around Ambrose McKinley’s new gated retirement community is not very effective, considering there is at least one fatal animal attack every month, like clockwork. It takes him all of one night in his new home to figure out it corresponds to the full moon. Putting two and two together, the blind Vietnam veteran will count down the days until the next fateful moon in Adrián García Bogliano’s Late Phases (trailer here), which opens tomorrow in New York. It is debatable who has a keener sense of smell, McKinley or the werewolf stalking Crescent Bay. McKinley would seem to be at a disadvantage. Soon after moving into a new environment, his service dog Shadow is killed by the lycanthrope. 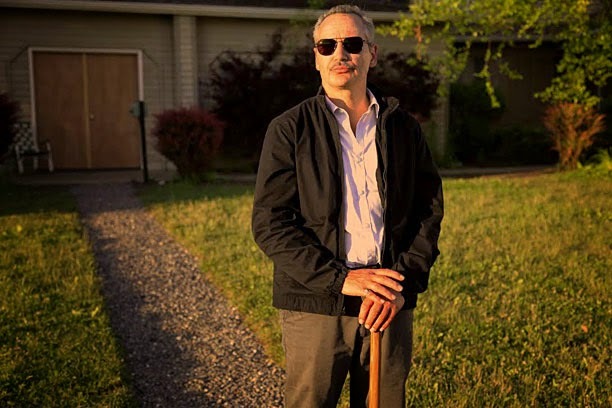 Since McKinley never owned a cane, he prowls around the neighborhood with the help of a shovel. However, he is still handy with firearms and his bad attitude is a heck of an equalizer. Just ask his put-upon son Will. His new neighbors are even less charmed by McKinley, especially the one he is hunting and being hunted by. Phases is being billed as veteran character actor Nick Damici’s breakthrough performance and they’re not kidding around. He finds new ways to be awesome as the spectacularly surly McKinley. He is often funny, genuinely touching in key dramatic scenes, but one hundred percent hardnose, through and through. Damici rules the roost, but Phases is also brimming with a cult-friendly supporting cast, most notably including Tom (Manhunter, House of the Devil) Noonan as Father Roger. Somehow he simultaneously makes the good Father a refreshingly sympathetic man of the cloth, as well as a compelling suspect. The Last Starfighter’s Lance Guest sure looks a lot older as Griffin, Crescent Lake’s resident community organizer, whereas Glass Eye Pix founder Larry Fessenden always looks like someone you might buy a headstone from. Add in Tina Louise from Gilligan’s Island as one of McKinley’s catty neighbors and Twin Peaks’ Dana Ashbrook as an ammo salesman and you have yourself an ensemble. For his first English language production, Bogliano went 1980s old school. He takes plenty of time for character development, showcasing screenwriter Eric Stolze’s sly dialogue and Damici’s grizzled presence. While the slow build is moody and suggestive, the werewolf effects are a little cheesy, but in an appealing retro gross-out kind of way. Frankly, it all comes together in a satisfyingly nostalgic package. 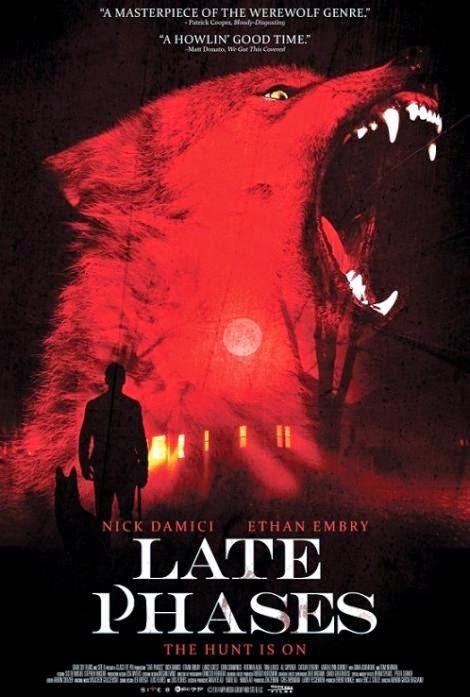 Highly recommended for werewolf fans, Late Phases opens tomorrow (11/21) in New York at the IFC Center.